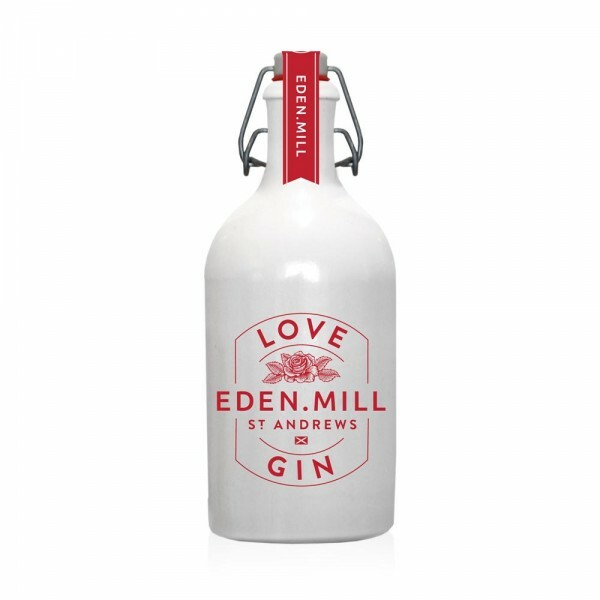 Eden Mill's Love Gin uses a unique recipe that incorporates five core botanicals and eight further exotic flavours (including red rose petals, marshmallow root, goji berries and whole hibiscus flowers). The result is a light blush pink colour gin, a fruity, floral aroma, and a mellow red berry and citrus flavour. Delicious served over ice with a wedge of pink grapefruit and topped with Fever Tree tonic water – a serve head distiller Scott has christened the P&T (Pink & Tonic)! Appearance: Crystal clear, but delicate pink. Nose - Soft subtle juniper, a touch of warm red berries, delicate pink grapefruit citrus, green apples, pears and drop of rose water. Key Botanicals: Juniper, coriander, angelica root, hibiscus, rose petal, elderberry, rhubarb root, marshmallow root, goji berry, raspberry leaf. Taste (neat) – After a strong juniper & spirit hit, you get very ripe red berries, a touch of vanilla ice cream, finishing with a rosey flourish. Founded by Paul Miller in 2012, Eden Mill sits within the old Guardbridge paper mill in St Andrews, Fife. The goal was to create cask beers and later single malt whiskies & gins that would use the best local barley and ingredients sourced from the bountiful Kingdom of Fife. In November 2014 work was completed on their unique still house making them the only single site distillery & brewery in Scotland. The distillery remains true to the founding principle of lovingly creating and crafting small-batch beers & spirits for an appreciative, select audience.